Continuous researches are being in process with the German Shepherd Dog breed! If you're not in continuous touch with what's going on worldwide with this breed, you cannot get track of the evolutionary process of the breed. If you are studying seriously about German Shepherd Dogs you are probably looking for some sort of illustration of German Shepherd Dogs from past till date. 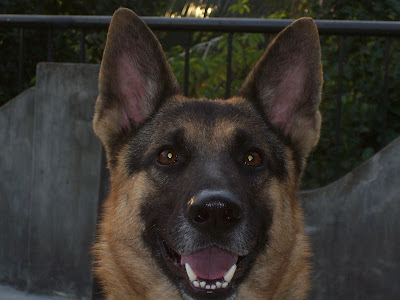 Here's something of a kind you probably want to know about German shepherd Dogs. The difference is clearly noticed -- GSD of 1940s to GSD of 2000s, the breed underwent a continuous change. Notice the German shepherd pictures carefully. You can their's a noticeable difference in the structure of the breed. Look at the 'Top Lines' of the two shepherds. The 'Banana Back', which is also called 'Roach Back' is visible in the recent dog, while the 'Top Lines' was smooth -- called 'Level Back' is noticed in the dog of 1940s.